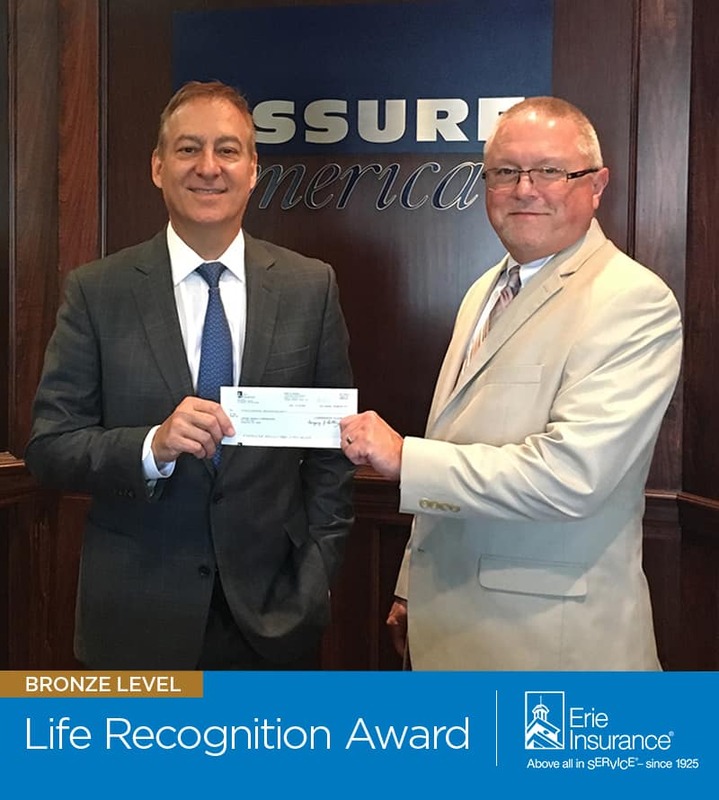 Assure America Corp. is proud to join a select group of agencies honored by Erie Insurance with the 2018 Bronze Life Recognition Award. We are thrilled to be recognized as a top life insurance producer in West Virginia. “Receiving this award is a great accomplishment, and we believe that it is proof of our commitment to providing our customers with the best life insurance coverage possible,” said Assure America President/CEO Matthew Magnone. Assure America offers a full line of personal insurance products as well as commercial and life insurance products from Erie Insurance. Contact us to discuss your insurance needs. For a life insurance quote, please visit our life insurance page or give us a call at the office nearest you.